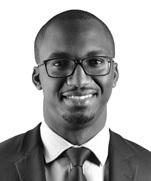 Peter is a senior associate at Dentons Hamilton Harrison & Mathews. He is part of the Corporate, Commercial and Real Estate team. He is also a member of the Mergers and Acquisitions, Joint Ventures and Private Equity, Employment, Business Set-Up and Regulatory Compliance and Infrastructure and PPPs practice groups. Peter is experienced in corporate re-organizations and restructurings, regulation of NGOs and capital market transactions. Bestseller Foundation: Advising on the acquisition of an equity stake through a subscription of shares in Samasource Kenya Limited as well as through a convertible loan instrument. Kansai Placon Africa: Conducting a due diligence and advising the client, from a Kenyan law perspective, with regard to the acquisition of Sadolin Kenya as well as assisting in the legal due diligence with regard to Sadolin Uganda for the same transaction. Sabmiller PLC: Conducting a due diligence and advising the client, from a Kenyan law perspective, with regard to the indirect investment in Equator Bottlers Limited. AAR Insurance Holdings Limited: Advising the AAR Group of companies on the transfer of the insurance portfolio of Afrocentric Health Solutions Limited to, and the subscription of shares in, AAR Insurance Holdings Limited. SMEP DTM Limited: Advising on the corporate restructuring of SMEP DTM Limited (a leading deposit taking microfinance institution in Kenya) as well as is capital raising through a public offer of its shares.